Arrival at Delhi in the morning and an excitingday to look forward to after checking into the hotel. Some refreshment and post lunch all the guests move out for a sightseeing tour of Old and New Delhi visiting the Red Fort, Qutub Minar Jantar Mantar etc. Delhi, the capital city of the Federal Republic of India. It is one of India's fastest growing cities after Mumbai. It has sprawled over the West Bank of the river Yamuna, straddling the river. The city has two distinct parts, Old Delhi & New Delhi. The streets of Old Delhi are narrow & bustling. The beauty & serenity lies inside the courts of the main buildings. Delhi has some of the finest museums in the country. Its boutiques and shopping arcades offer access to a wealth of traditional and contemporary crafts, from all over the country. New Delhi was proclaimed the capital of India by the British architect Sir Edwin Lutyens (1869-1944), & is tree-lined & spacious. The night is spent in the hotel after the spree of seightseeing. These places are of great historic interest to the visitors and are worth discovering. After early breakfast Drive 275kms, 5 hours, on the 2nd day and the day is planned for the pink City: Jaipur. Popularly known as the 'Pink City', Jaipur is located in the western state of Rajasthan in India and is a major tourist destination in India. The abode carries an exquisite charm that makes it different from any other destination in the world. The historical monuments that it endorses narrate the stories of the gallantry of Rajput rulers during the ancient past. A visit here will enable you to have peep into the cultural heritage of India. Morning sight seeing of Amber Fort with Elephant ride to the fort. After early lunch Drive 180kms, 4 hours to Ranthambhore. Day full of enthusiasm and excitement for the guests. Ranthambore is unique destination that endorses one of the most important national park of India, the Ranthambore National Park. The city also endorses the elegant Ranthambore fort. The abode is basically surrounded with exceptional flora and fauna. The pleasant evenings are spent at the resort environs close to the jungles watching the local folk dances alongiwith some mouth watering bar be que Overnight Tiger Den Resort. 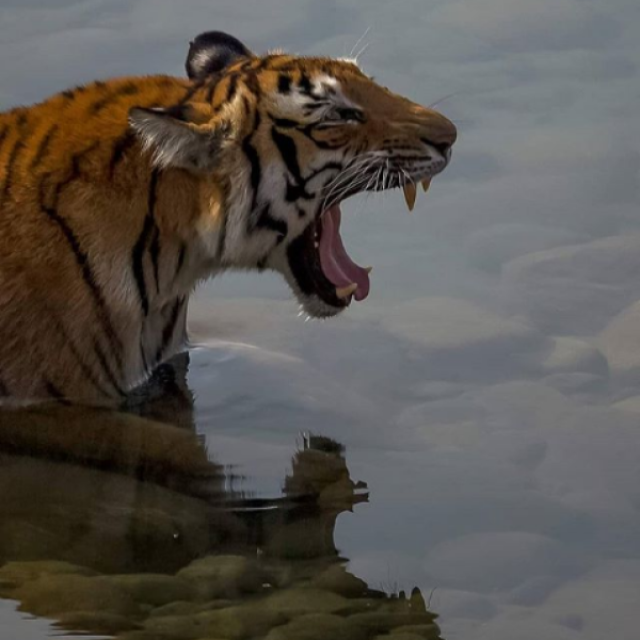 Spanning over 400 sq kms, Ranthambore embrace a network of lakes and rivers. The terrain endorses forest and open bush land. Forest is basically deciduous type with dhok being the prominent tree. The place also boasts the second largest Banyan tree In India. The national Park is mainly known for its tiger population. The Padam Talab, the Raj Bagh Talab and the Malik Talab are some of the lakes in the area that attract the tiger population. 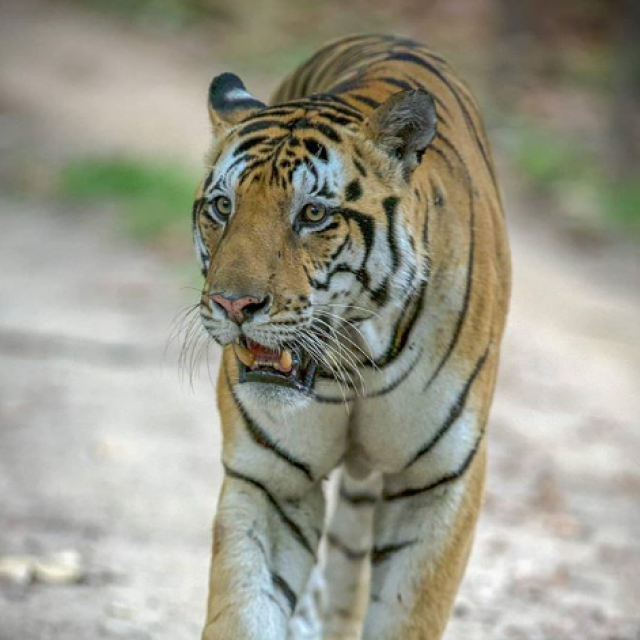 It was converted into a National park in 1980 and came under project Tiger scheme in 1973. Morning and evening game drives in the national park. Overnight at Tiger Den Resort. Breakfast, Lunch Dinner at Resort. 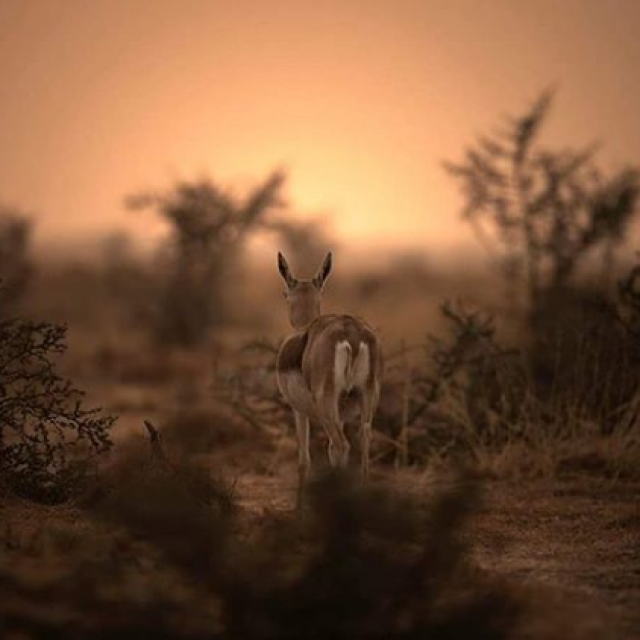 Mornig and aevening game drives into the park. 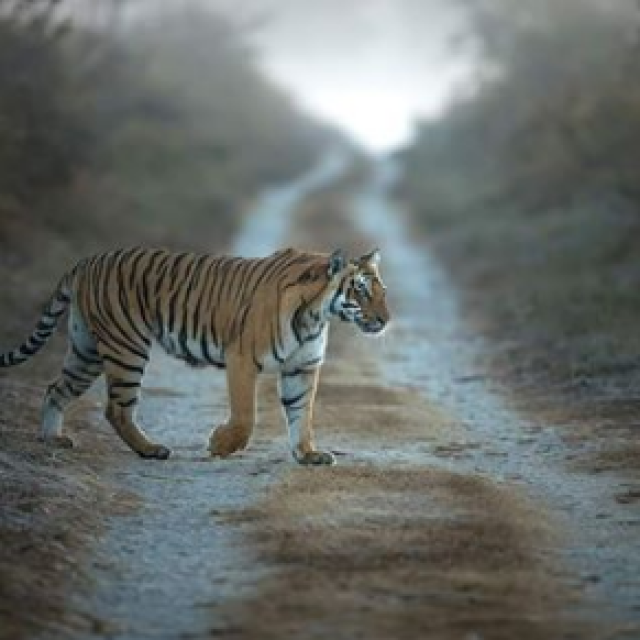 Day is are planned for discovering the habitats at the Ranthambore national park. You begin with the adventure trips into the jungle of Rajasthan, the jungle has a tinge of golden with the bright sun shining down on the trees and the grasslands. After morning excursion, and early lunch board train at 1300hrs, arrive Bharatpur at 1545hrs. Drive to The Bagh, a heritage hotel set in a 200 year old garden amidst 12 acres of wilderness and orchards. Evening a quick drive to the Sanctuary. One hour rickshaw ride with an expert naturalist will be eye opener into another paradise for bird lovers, Keoladeo National Park. If you are a bird lover and love to know about them. You would probably meet your type of folks out here in the Kaldeo Ghana national park, the abode of the best species of birds in the Indian sub-continent. A world heritage site. Keoladeo is famous as one of Asia’s finest birding areas, with over 380 resident and migrant species, including the Common, Demoiselle and Sarus Cranes. It is also an excellent place to watch mammals like Golden Jackal, Striped Hyena, Fishing Cat, Jungle Cat, Nilgai, Sambar, Blackbuck and wild Boar. The park derives its name from the temple of Kaldeo (Shiva) and ‘ghana’, which locally means dense, implying the nature of the vegetation. During the cool winter months it is also possible to see large Indian Pythons sunning themselves. One day is just not enough for any keen bird watcher to find all those wonderful little creatures and study their habitats. A day again in the Kaldeo Ghana national park becomes very essential to completely feel satisfied with the creations of Mother Nature. The day goes by, taking boat rides to the nesting colonies of birds. After breakfast drive to Agra, 55kms. Proceed to see the famous and pristine Taj Mahal. On reaching Agra the visitors are checked into the hotel in serene city of the Taj. Come to Agra, India, and see the Taj Mahal, an architectural marvel in white marble. The Taj Mahal, a mausoleum built by the Mughal Emperor Shah Jahan, for his beloved consort Mumtaz Mahal, is the finest example of Mughal architecture in India and a symbol of eternal love. A UNESCO World Heritage site, the Taj Mahal in Agra, India, is a sublime expression of architectural skill and a historic and romantic destination. The Taj Mahal in Agra, India, is a mesmerizing sight. This beautiful marble structure is considered to be aesthetically perfect in its design. Seeing the Taj Mahal by moonlight is truly an unforgettable sight. The enchantingly beautiful Taj Mahal, a monument to love, has to be seen once in your lifetime, preferably in the company of a loved one. After Lunch proceed to see the Agra Fort, and Sikandra. Overnight hotel. After breakfst board train at 0800hrs to Jhansi, arrive Jhansi at 1030hrs. No visit to India is complete if you do not travel by train, road, rickshaw, and elephants. You discover the marveling beauty of the places in the cities and the country side. You will be met by Nature Safari representative at the station and drive to Khajuraho, 180kms, 4 hours drive. Morning proceed to view the easter temples. After lunch board flight to Varanasi. Varanasi, the holy land of the Ganges. It has thousands and thousands of pilgrims who throng the riverside of ganga to be blessed by the holy River. On arrival at Varanasi the guests are taken to the hotel. Late afternoon city drive and in the evening boat ride in the Ganges, see the beautiful historical city come to life at sunset. It seems you have gone back 1000 years, you will transcend into another world. The last and the 12th day of the entire trip are at Varanasi and then a flight to Delhi. Later after a visit to all the places of tourist interest, a final flight after the farewell dinner is to be boarded back home of your respective destinations.